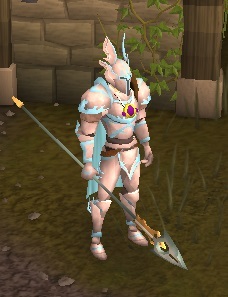 The new Exquisite weapons from the SoF look amazing. Neat for them to create some weapons specifically designed to be keepsake'd. Darn I really liked the look of it, really suits the exquisite spear in the picture too. Thanks though, I went searching for it and couldn't find it listed anywhere. There's a full picture of the set with shield/sword on the wiki page I linked to. Just wait for them to add it to Solomon's General Store. Possible, but I'd think they intended for the Shadow Knight armor to be always-available fixed-color Paladin-Lite armor, and for the Paladin set to be a specific incentive to buy a Gold Membership at least once. Sold all my Greenman's Ale (m) at nearly full price. Guess people haven't caught on to the banner boost yet. Wow I feel dumb... Not because I bought any, but just because the only use I'd thought of so far was to boost the barb advanced course for a half hour a day. I don't think there any boosts that aren't useful--they let you use higher level training methods without having to pot up every two minutes. Some of the skills don't have a lot of options for it either, like runecrafting and smithing. And they work in Daemonheim too, right? You could pot up for free before you start a floor? For how good it is the banner is amazingly easy to get; it pretty much eradicates the usefulness of most of the old boosters with the exception of stews. I mean top end reqs is killing a black demon (doable with like 40-50 cmbs really). Up to ~60 for the skills tasks and nothing for exploration. Now to increase my base stats o the boost will allow this. This was what I believe the first of the true customization updates. And it was a great one, even though it of course was a rather basic one. The choices we have now made I am sure will be the base for future updates from Jagex. Exactly what updates I of course don't know. But if this update and our choice of god somehow would be connected to Divination and some sort of god-controlled areas, that have been discussed a lot on here, I wouldn't be surprised. With the release of TWW and the focus on the relationships between gods and players, I would see it is as very likely that we, the players, will get much more power over the world. This through both our own power and by allying ourselves to gods. By working both together with and against gods we will be able to shape the world. 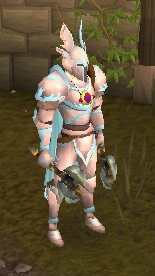 Out of all the new things that will come with Runescape, this is what is getting me most excited. And this update is according to me the second big step towards this (the first one obviously being TWW). Of course none really knows what will be happening next, but if I am allowed to state what I believe there will be some kind of major quest next. Either that or the new skill. This will let us align further with our own god, or strive more for the banishment of gods overall (Guthixstyle). And we will also see more gods return. As I see it this will be the next big step. It would be a natural follow-up on the steps taken so far. There seems to be quite some people here who thinks that the choices we make will just have cosmetic effects, but I doubt that. At least that is what I want to doubt with how big a change RuneScape 3 is told to be. If the players would be able to shape the world, I believe Runescape would get a great boost. More tasks for the gods will surely follow. Perhaps not through the emissaries though. Before this update pretty much all tasks for gods have been done through quests. Now Jagex have let us do tasks for the gods and show our support through a different way. I think that before the start of 2014 we will have got to seen at least one or two more ways of working for the gods. 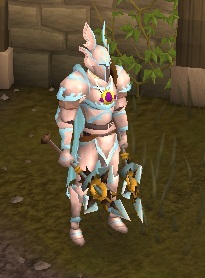 I am really looking forward to see what Jagex makes of the base that this update and TWW have created. The sixth age is coming up now and with it opportunities that have never been seen before. Jagex really should dare to let us, the players, control more of what happens in the game. Certainly this requires more effort and a hell lot of if statements, but I'm sure it will be worth it. If not for the player's sake so for the development of the lore's sake. Dare to give us some proper choice that not only gives us a coloured top as reward but actually changes the world.